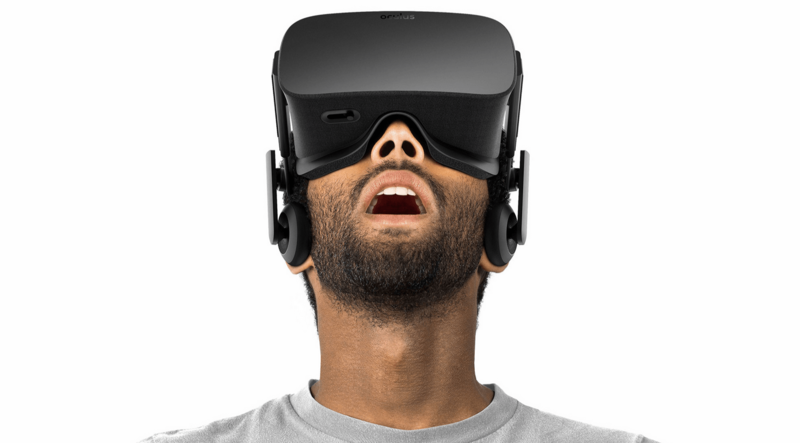 Three years after the Kickstarter, the Oculus Rift is now available for pre-order. Supposedly we’ll see the units this May, but even the website seemed a little unsure of the actual ship date. Meanwhile, the consumer debut of the platform demands approximately $1700 worth of technology *without* access the controls that allow the player to reach out and touch anything in that world. That’ a pretty grim chunk of change for what is supposed to be revolutionary “consumer” tech, and it’s shipping without anything close to a killer app or even an obvious use case. Instead, it has a few mildly interactive rides that are masquerading as games — experiences that to me are disturbingly similar to the CD-Rom games that came with our drives back in the 90s. The difference is that the CD-Rom was breaking point technology — something we all knew we needed. Meanwhile, the percentage of the audience that will find this tech unusable due to comfort, space, or sickness is still probably 50% or higher. I hate to be so down on the dream of Virtual Reality. I’ve wanted to inhabit virtual worlds ever since I first read Neuromancer back in 1987. And I believe that we’ve gotten a *lot* closer to true consumer VR than we were when we last tried 20 years ago. But I’m seeing a lot of money and attention is being paid for something that is clearly not close to living up to the hype. We all want to see hardware take the lead in tech again, but I think that our nostalgia is outpacing reality. And if it bombs, which I think it will, VR is going to have spend another decade in the closet. Meanwhile, Augmented Reality is going to steal the show.